There’s got to be a prettier way of implementing this. 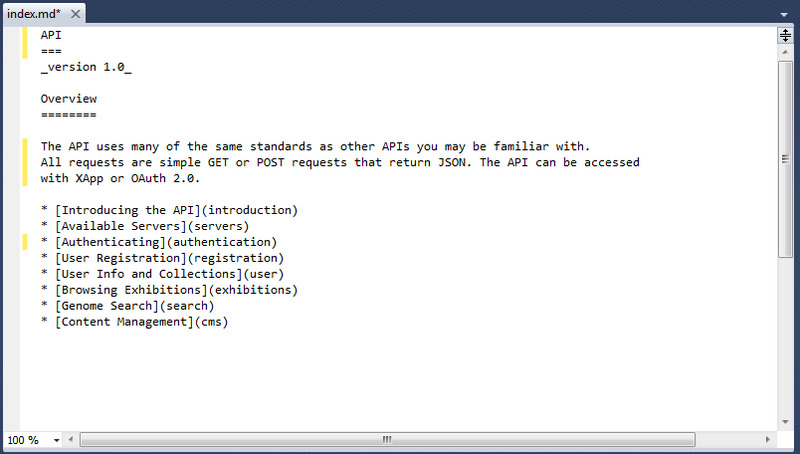 We use the following code to render API documentation, which is written in Markdown. Add a route that will capture the document filename in config/routes.rb. Bonus features: a namespaced controller and a redirect to /api/v1/docs for /api/v1. You can now create public/api/v1/docs/something.md and it will render under api/v1/docs/something. What I’d like to do is take the Markdown renderer out of this controller, define it as a generic handler, and swap the template being rendered to the filename instead. How do I do that? Rendering Markdown Documents in Rails was published on November 07, 2011 . See a typo?